The most recognizable trademarks of this style are lush, tropical plants and bold colors. Think palm trees swaying in the wind, birds of paradise showing off their bright flowers and lots of healthy greenery. 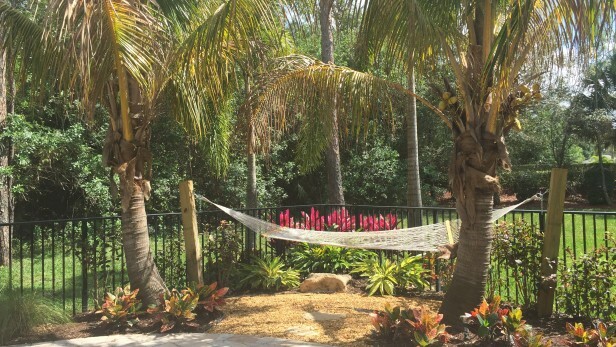 Hammocks are especially appropriate for a tropical garden, just make sure the trees you hang it from are nice and strong. 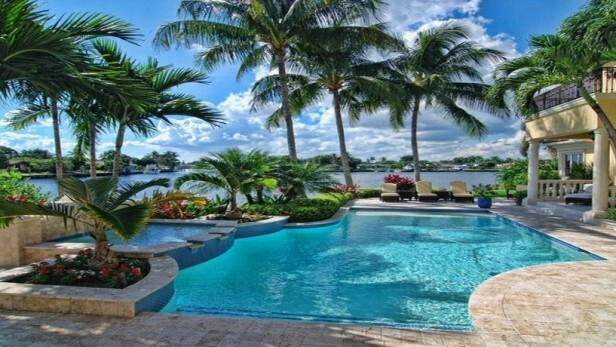 Many tropical style yards feature a swimming pool. These pools usually have a natural look as if you could stumble upon them in the rainforest or jungle. This natural appearance is achieved through the use of faux boulders. Sometimes these boulders can also serve as a waterfall, jumping rock, or even have and incorporated water slide. You can add to the tropical vibe by replicating the sparkling turquoise water of a tropical island beach. This dazzling color is created by selecting a light colored interior pool finish. Tropical landscape design features pool renovation, travertine pool deck, tropical landscaping, landscape lighting, decorative pots. In an outdoor living space shade is often essential, especially during warm summer months. For a landscape with a tropical theme you should select a thatched roof patio cover. These structures, which have a roof covered in palm fronds or reeds, are known as either a tiki hut or a palapa. To complete the look the columns supporting the structure can be made of real or faux bamboo. Many homeowners often overlook the final touches of their landscaping. 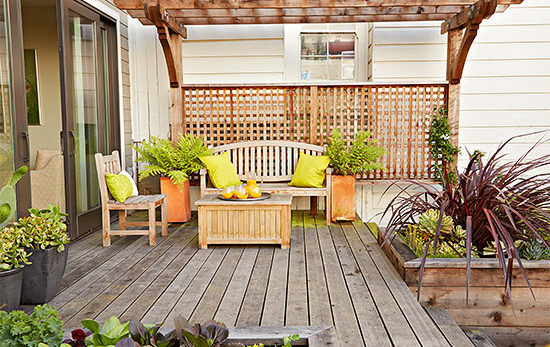 Adding just the right outdoor décor will help solidify your yard’s tropical theme. 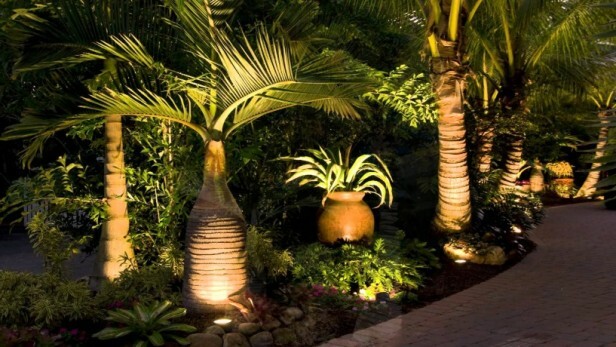 Tropical landscape renovation includes brick paver patio and walkway, tropical landscaping, landscape lighting, decorative pots.